Children’s Entertainer for Schools Dozy Dave has been providing top quality, full time, professional children's entertainment into schools, pre-schools and nurseries since 1996. Schools invite us back year after year after year because the children and teachers love what we do. 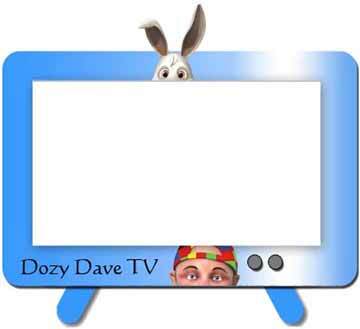 Dozy Dave prides himself on knowing how to pitch a show to various age groups making sure that each and every child no matter of their age, or confidence level will enjoy themselves. This is a skill which can only be picked up through years of experience. Whether it is a special show for pre-school children? A year end school magic show for the whole school? A PTA fundraiser or a school disco for the older children? Dozy Dave has the solution. Children’s Entertainer for Schools in Cheshire, Manchester, Chester, North Wales, Stockport, Merseyside, Wirral, the North West and Yorkshire. You may possibly have a mixture of age groups and require a children’s entertainer for your school who will captivate and entertain all ages? The Dozy Dave magic show gets everyone involved, the show is action packed, funny and appeals to both boys and girls, no matter what their age. For the younger children our shows start very slowly, we even kneel on the floor to make sure the children do not feel intimidated. The show is a mixture or magic, music and stories, as the children's confidence grows, so does the pace and volume of the show. Children are invited to become magical helpers and there are lots of funny moments. By the time the show comes to an end, Dozy Dave has made lots of new friends.